From Jan. 5-10, the Community Music School (CMS) of Webster University will host walk-in sessions for new students to register for the Spring 2019 semester of Individual Lessons. CMS offers one-on-one instruction on all instruments of the band and orchestra, piano, guitar, harp, and voice at convenient locations in Chesterfield, Webster Groves and University City. Students of all ages and abilities can be matched with one of over 90 master artist/educators. 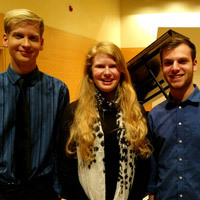 The Community Music School of Webster University presents the Emerging Composers Concert on Saturday, March 25, at 3 p.m., at the Community Music School Concert hall. The event will feature professional performances of the winning works from the Young Composers Competition performed by St. Louis musicians from Equinox Chamber Players, members of the Perseid Quartet, and other area professionals. Additional workshops will be held with Elizabeth Ogonek of Oberlin Conservatory and David Werfelmann of Webster University. The Community Music School (CMS) of Webster University offers one-on-one instruction on all instruments of the band and orchestra, piano, guitar, harp and voice at three St. Louis locations. Students of all ages and ability levels can be matched with one of the 100 master music teachers during New Student Registration Aug. 6-11. The Community Music School (CMS) of Webster University offers one-on-one instruction on all instruments of the band and orchestra, piano, guitar, harp and voice at three St. Louis locations. Students of all ages and ability levels can be matched with one of the 100 master music teachers during New Student Registration for the Summer semester June 4-9. The summer semester for Individual Lessons runs from June 18 through Aug. 1. Kindermusik and Music for Little Mozarts (keyboard) classes at the Community Music School (CMS) of Webster University take early music education to the next level. Our music-and-movement activities are carefully and creatively designed to enhance children's cognitive, language, physical, creative and social-emotional development. 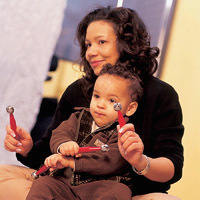 Our classes help foster a lifelong love of and appreciation for music and it is also a fun parent-child activity. Join us this spring and see for yourself! The Community Music School (CMS) of Webster University offers one-on-one instruction on all instruments of the band and orchestra, piano, guitar, harp and voice at three St. Louis locations. Students of all ages and ability levels can be matched with music teachers during Spring New Student Registration Jan. 9-14, 2016. The spring semester for individual lessons runs from Jan. 19-May 27, June 2, 4 and 6, 2016. 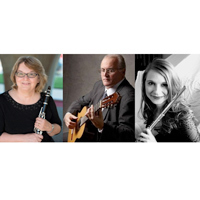 The Community Music School (CMS) at Webster University will host an evening featuring some of St. Louis's premiere musicians on Friday, Dec. 4, at 7 p.m. at the Community Music School Concert Hall. This recital celebrates the legacy of the CMS and Webster's alumni who are now professional teaching artists at the CMS. Enjoy the musical roots of American folk music and culture at Explore Music! 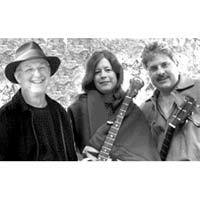 TRADITIONAL AMERICAN on Saturday, Oct. 10, at the Community Music School of Webster University.